When Swarthmore announced that alumnus and former President of the World Bank Robert Zoellick ’75 would be the 2013 commencement speaker and recipient of an honorary degree, students responded in a multitude of ways. While many students, especially seniors, questioned why someone who was affiliated with the Bush administration and associated with the war in Iraq deserved to speak at commencement, others responded by saying that not only is he a deserved speaker, but students also are wrong in their perceptions of Zoellick. Samantha Bennett ’13, who also is in favor of Zoellick’s speaking at commencement, does not think the controversy represents a political divide on campus, though. Still, Facebook comments by seniors include that Zoellick was a “major architect and strongest proponent of the Iraq war” and that “that the administration is wrong to use honorary degrees as a political tool for future favors to the college/recognition/an act that encourages potential alumni donations.” An equal number of comments defending Zoellick exist online. Sarah Dwider ’13, who has been active in the Facebook debate about the topic, feels that not everybody has handled the situation appropriately. Sussman feels that the issue with the Facebook debate is not necessarily people’s words but rather their lack of research. While Bennett agrees that some Swarthmore students do not have their facts straight, she can see why people might oppose his speaking for other reasons. What Sussman and Bennett do agree on, however, is that it will be interesting to hear how a Swarthmore alumnus gained so much political power and how being a Swarthmore graduate contributed to that success. Bennett also added that her father, as an alumnus who was Zoellick’s classmate, was also excited to hear him talk. A large group of students on campus are equally unexcited, however. Because of the divide among seniors and the propensity for students to express themselves online, Dwider, with the help of Dean of the Sophomore Class and Director of the Intercultural Center Alina Wong, organized a meeting for students to express how they felt this past Wednesday. Around 25-30 showed up to the meeting. 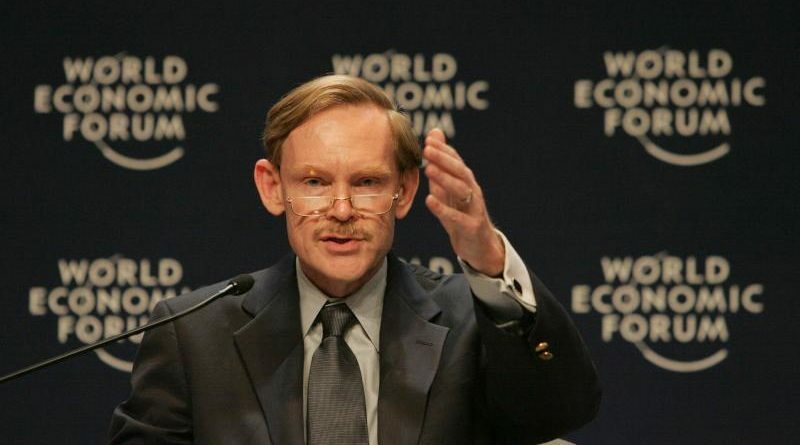 While those presence debated substantially what Zoellick’s role and association with the war in Iraq were, little consensus was reached, according to Bennett. She also said that both sides brought up positive and negative actions of Zoellick, including his role with the Free Trade Agreement in Central America and his role in trying to end the genocide in Darfur. Another point of discussion at the meeting was how Zoellick’s speaking out affect the comfort of the audience at commencement. While the question of whether the audience would be comfortable with people’s protesting against Zoellick, many reached a consensus that a protest that would disrupt the general ceremony was inappropriate and that a commencement speaker does not define the entire event. 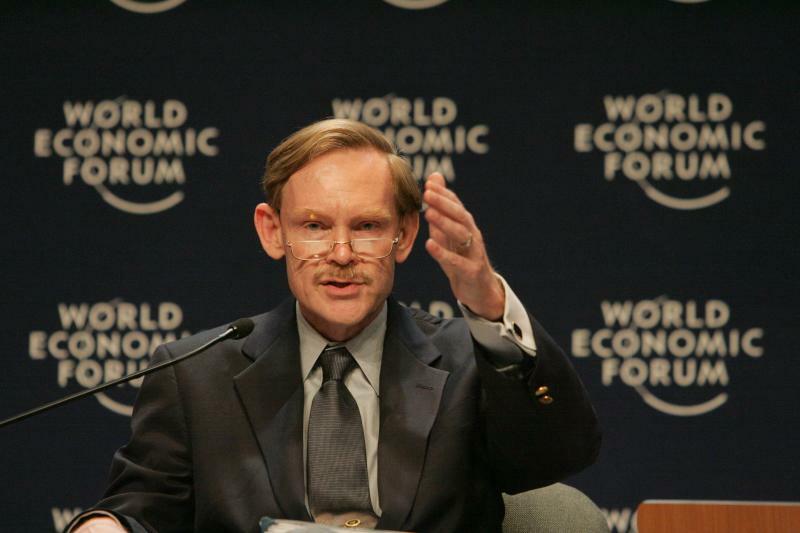 Opponents suggested that having someone in the field of political science speak would inevitably bring conflict, no matter who, but proponents responded that Zoellick is the primary choice for anyone related to international relations. Bennett added that someone at the meeting claimed that the committee said that Zoellick was an obvious choice for an honorary degree. Unlike other schools that base their commencement speakers on prestige and popularity, Swarthmore chooses its commencement speaker among the Swarthmore alumni who receive an honorary degree that year.